An apparatus for a guitar comprising a first compressible member, one or more spacers and a second compressible member. The second compressible member may be configured to receive the one or more spacers and engage the first compressible member when a force is applied to the first compressible member. The subject invention provides height adjustment of the bridge from the body of the guitar via spacers between 2 compressible members. Looking to sell patent 7,956,262 which has not been previously sold or marketed. 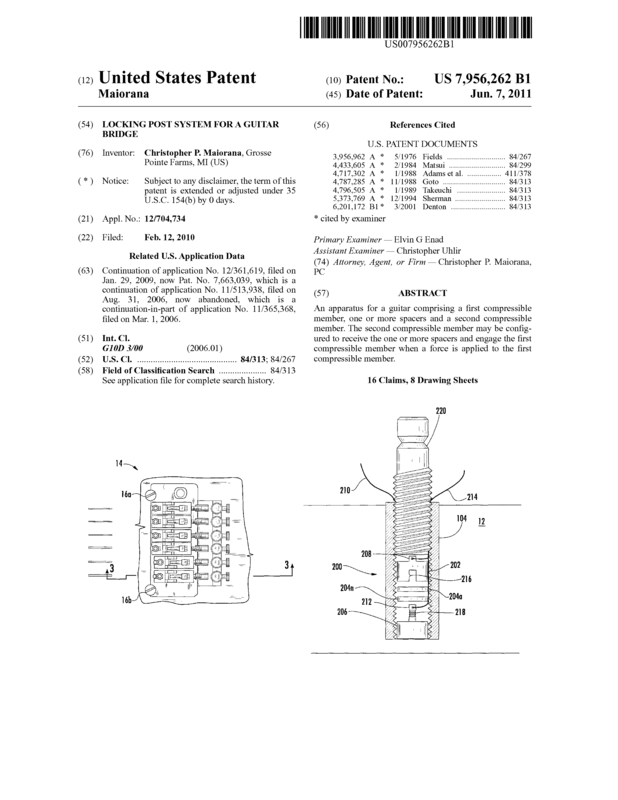 Page created at 2019-04-26 5:57:26, Patent Auction Time.